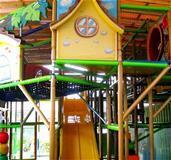 A children's educational playcentre with daycare, camps,parties for kids, softplay . Drop-ins are welcome once you book. Saturdays 10am-1pm is walk-in playdate time. Our Babyschool is now accepting new registrations from 4 months! An educational playcentre for families to enjoy. We own the international award winning Comfyland experience for toddler and babyplay and all our toddler guests are supervised by our JW cast family. We also own the only softplay system in the island.